its possible that now its not a question of one server. Heard of blockchain? So once data is put on a blockchain circuit, it will stay because it is decentralized and if you scale it up in terms of global participants, monitoring or controlling each node is impossible even as a policy action. And ofcourse, like so many more episodes in various shows before, when a program goes mad, first thing it does is latch onto internet..
Also don't think emaa or HJ bring any special power to the game. Hee Joo and Dr. Cha.. I am with you, I just wonder why do some people keep (even in DC) complaining about the lack of romance between JW/HJ, because if they started building romance earlier it would be weird, wouldn’t it? Was there any reason that could make they got together as couple maybe since their first met? Remember that JW was still married YR before YR signed the divorce paper? For me, the best time for our OTP romance is started after ep 10. Slowly is better, right? Perhaps their relationship will be stronger and stronger when HJ get involved in the game, not as Emma, but as herself and when she come to help or rescue JW. HJ can get into the game anytime because JW had authorized her by giving his tech guy name card. About PSH cries, well I think that were not excessive. She only cries just when the scene needed it. I love everytime she cries, it is so natural compared to other actress. Maybe the only actress who can compete her is Song Hye Kyo. Well, I hope everyone give some patience for our OTP, because this drama is so good even without any romance. This is the best drama in 2018. Well, I think some viewers were really anticipating the romance between the OTP, and I can't really blame them for their eagerness. I just hope that everyone is willing to be patient a little longer and give them a chance to develop their romance since I do see it happening. As you've also mentioned, JW just got his final divorce from his wife, and even if she's still not happy about signing the papers. Btw, I don't think that this is the last time we'll see the ex-wife either. Given that she apparently wanted more from JW, I expect that she'll try to make a stink about something or another. Switching topics, one of the posters mentioned about a possible Director Park and Soo Jin pairing. I didn't think of it previously, but once the idea entered my head, I started wondering about it. The three men, meaning JW, HS, and Park all hung out together as best buds as they were forming their company, so I can see that all three men developed affection for Soo Jin. It's clear that JW still cares for Soo Jin even now, even though he no longer is in love with her. So, perhaps Park can save Soo Jin from her father-in-law? But, really, I like Director Park too much to saddle him with Soo Jin who seems rather hysterical to me. Plus, regardless of what the reasons were, I hated that she cheated on JW with his best friend and business partner, HS. It shows a lack of character. 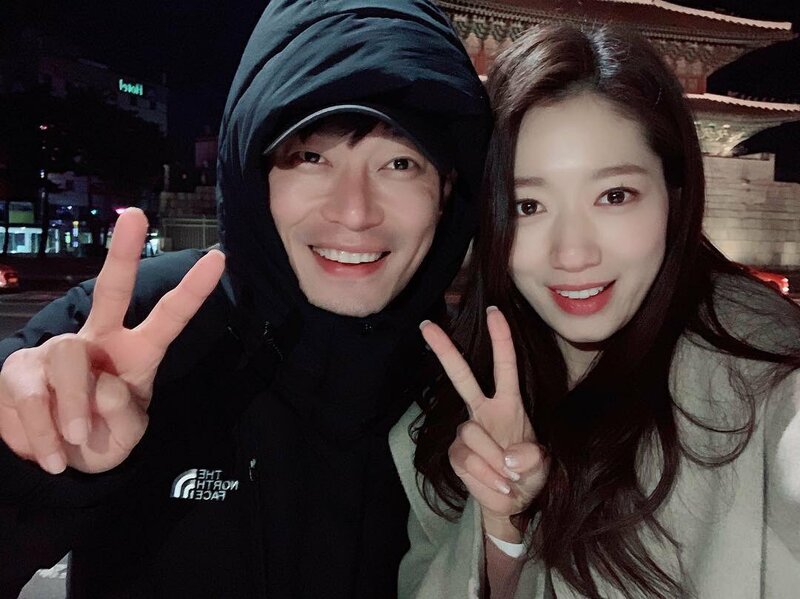 And, given that Director Park who despite having to deal with Professor Cha, the other investors, etc., seems to be trying to do his best for the company and for JW, I think he would deserve a better partner than Soo Jin. Thank you so much, dear @katakwasabi & @ned_lee Then this series should be a unique series that you can skip eps as you wished but nothing you get missed on the way! In that case, I will also skip to yesterday's eps & watch tonight one so that I also can join the current conversation!!! I'm not so sure that it's a case of skipping episodes means not missing anything. This drama has an interesting way of telling its story in that it shows you an event that is happening in the present, and then it goes back into the past to show you how the current situation has come about. So, if you skip episodes, it's not as apparent what someone is up to and especially not why they are doing that, if that makes sense. That does mean extensive use of flashbacks, but given the number of mysteries in this drama, I don't mind this unusual way of telling the story. So, by skipping episodes, you do get the sense of action that is happening now, but not the why. Though, having said that, even having watched all of the episodes, I still have loads of questions about how and why things happen the way they do. Anyway, welcome to the thread since I think I read that you just joined us. black mirror - bandersnatch it was set in the 80s and all about game programming (I miss those type and sound - ala pacman) and I remember JW while watching the main guy acting disturbed and all. Well rested, good nighty sleep and ready for next episode. I was shocked when Prof Cha suggested Soo Jin back together with JW. I disagree and the child better be Soo Jin's and Dr Cha's. JW should be free from past. Move forward and be with HJ. He deserved the best. And I believed there's a continuation in the scene where JW touch HJ face before JW left to airport. It was not the first time they cut the scene and come back. After watching with subs, the flashback with SJ was only JW delusion, his point of view. So, we still didnt know what was actually happened to SJ and Marco. And the last scene saying Zinu ally with City Hunter was terminated, please dont kill Sec Seo. They even showed Sec Seo smile at the closing song. Why!? Dont kill him. JW is lonely enuff. He in Granada alone. I was glad, the man catch up some sleep in the train. He really need somebody to take care of him. HJ welcoming home with open arms. Dont push him away. I rewatched the scene JW fought back with SB. He may not fight with his bad leg, but he was good with swords and guns. He is dangerous. And sacrifies HJ guitar along the way.. Huh! MJ is adorable. Somebody mention about her dance was the same as a year ago. She must have perfected her skill using the same song...lol... JW has to be cautious. She might be one of the netizen that watch like a hawk. She peeked JW divorced paper. So, she's bright and not a clueless person. She must know something wrong with SJ dissappearance but she decided not too worry her sister HJ. Good for her. Do we sense a cliffhanger in tonite's episode? Warggh... Noooooooo.....!!! did SJ really created the game? It seems he just stole it and enhance it... and how come the other partner know that JW’s quest is a suicide? ts possible that now its not a question of one server. New stills... we shall see Emma tonight. I wonder why this Emma is able to understand SJ as her brother...hmmm?? @﻿vangsweetie637 I think I understand the game but then again I think I don't. My mind is still spinning fom JW theory of what he thinks happened between SJ and Marco. The writer needs to give us CONCRETE explanation of it as the more they drag this out the more viewers will begin (or perhaps already have) to get lost with the plot and worst ...drop the show. As I believe that's what happened with W. Obviously the writer have not learnt her lesson though I do see some slight improvement because at least I havent dropped it. OMG yes!! Please don’t kill off Sec Seo!! That scene came out of nowhere I was not ready!! Positive thinking. As long as there’s no body he’s not actually dead! Same here chingu, I have been thinking that Mr Park has been so nosey asking JW the purpose of going back to Granada. And suddenly there were so many NPCs welcoming Zinu and CityHunter at the Granada station, who set the that battle? must be someone else who want them to get killed. And why on the trailer ep 10 Mr Park has to tell HJ that...? Could Mr Park and CHS became close friends after CHS left his father's company? sympathy driven probably? that made Mr. Park siding more towards CHS?. My 2 cents here: Let say the Duo Marco and SJ created this game, tried to sell the game to One-World company first, CHS asked Mr Park to follow Zinu from Seoul office together with programmer Choi (who's loyal to JW) and Mr. Park became a spy? but for what...? Random thought: The 3rd party (Unknown) may hack SeeJoo's or Marco's computer in Spain and change the program: adding Zombie characters, adding more NCPs or enemies - and made the Master disappear. I really like the way the drama written, it's unique. I guess aside from getting the ally termination msg.. last credit using sec seo's pic made us all sad that this magical game also ends JW loyal buddy. In your head, in your head, Zombie, zombie, zombie, ie..ie..ie, oh, oh, oh"
anyways..i dont want seo to die too. We have enough casualities by the game already. And both deaths are yet to be explained in detail. I don't think I've heard it on the show yet. It's so good!! The chorus reminds me of early 2000s Kdrama soundtracks! I think this writer has been watching too many Zombie movies.... "Return of the Dead"
JW enters a dungeon full of maybe the "dead" I think he might need to use that torch gadget that CYJ gave him. HAVE I FREAKED ANYONE OUT YET??? Wrap up party already....REALLY?? cant they get together for the finale and watch it with us?